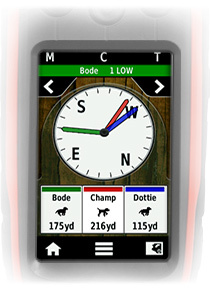 From the compass screen, get in-depth speed, direction travelling and distance away information for any dogs you've selected. 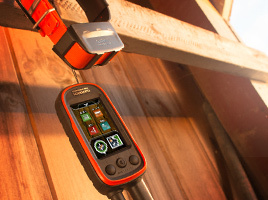 Get the information you always need, like your dog’s state (moving or on-point/treed), distance from the Alpha device, total distance travelled, speed and update rate, all on 1 screen. 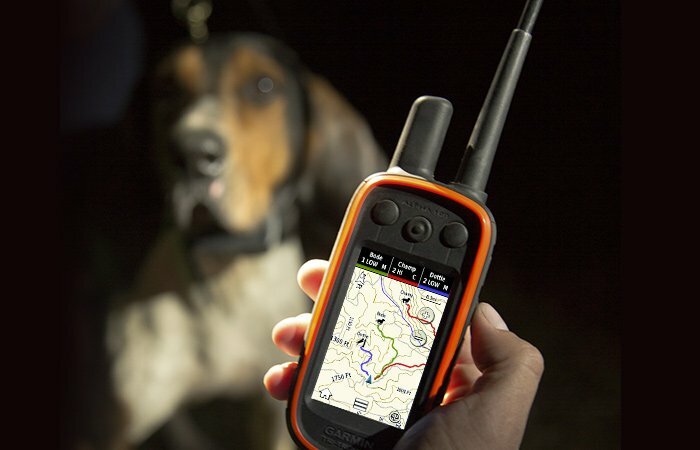 Don’t wait till your dog is lost or in danger to get him back. 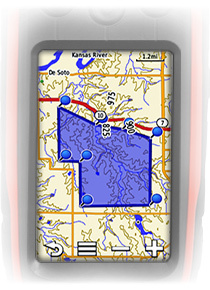 Setup virtual boundaries on your map and receive an alert if he strays out of your geofence. 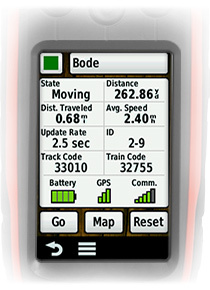 Track and train your dogs based on where they are with optional BirdsEye Satellite Imagery. These highly-detailed raster maps provide a realistic bird’s eye view of roads, parking areas, buildings, and terrain, including tree lines, lakes, rivers and streams. 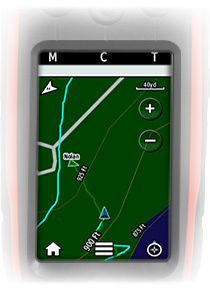 They are a great way to supplement the comprehensive topographic maps on your Alpha. Know where other hunters in your group are. 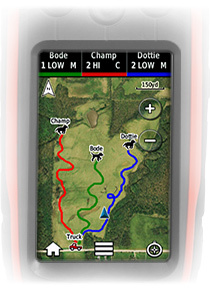 Set your Alpha to show not only the dogs in your group, but also the other Alpha handhelds too (up to 20 T5 or Alpha units.